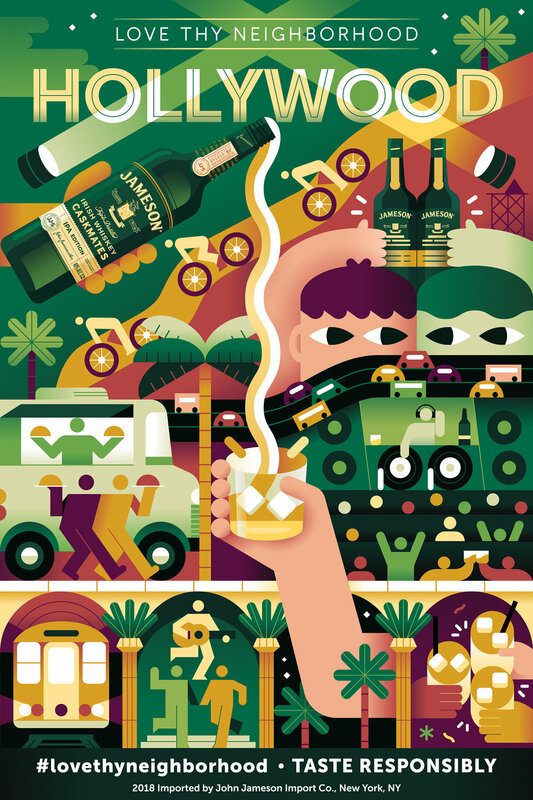 We teamed up with Jameson to create a mural dedicated to the diverse and energetic people that make the Hollywood community. We wanted to encapsulate the warm interactions that happen on this block between friends and strangers alike. 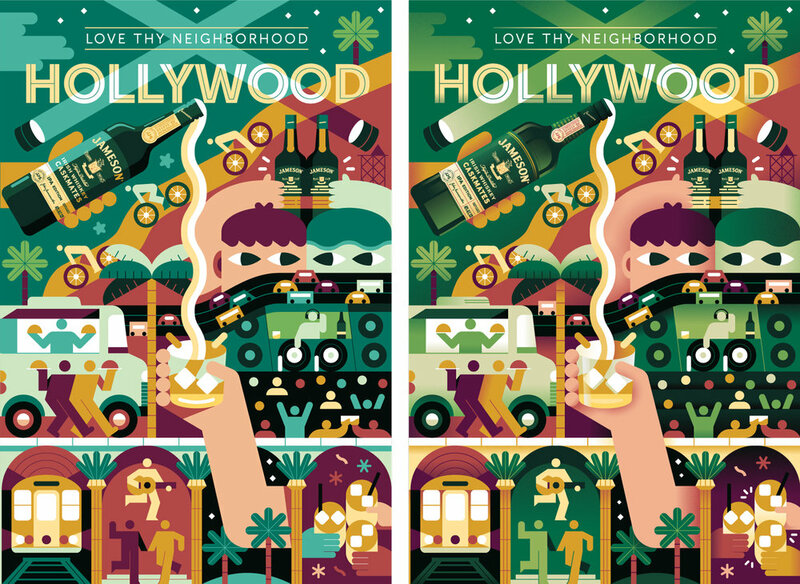 Whether it be sharing delicious food at a local food truck or dancing the night away at a Hollywood club, it’s the little things that spread Love for Thy Neighbor.